The Gracie Tee is full length loose fit tee with the classic Better Bodies logo across the chest. 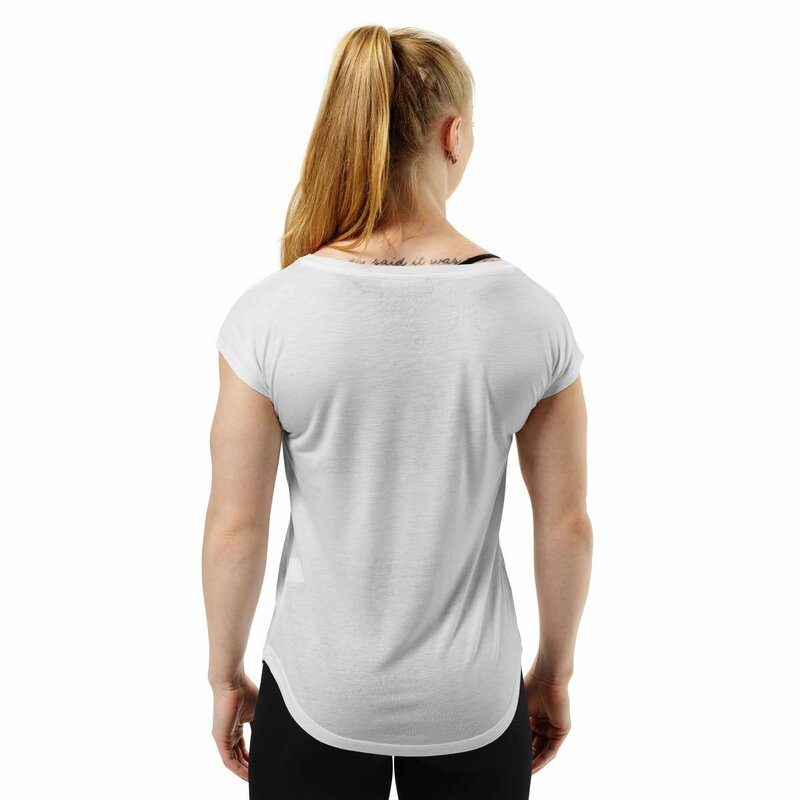 Made from 100% Tencel the Gracie Tee is soft and cool to the touch and great at wicking away moisture. Tencel is extremely ecofriendly due to its closed loop system. A fabric that has cotton, silk, and linen beat in their own main features. If you purchase this product you will earn 295 Points worth $2.95! Perfect for Sunday funday or just to chill, this timeless tee is comfortable and cool.